Another Brightcove customer is taking advantage of Video Cloud to suppot live coverage of the London Olympics. This time it's SBS Sports Limited in Korea, which is part of SBS Media Holdings Co.
SBS Sports is leveraging Video Cloud to deliver live broadcasts of London Olympic events in 3D to the Samsung Smart TV platform, including the Opening Ceremonies. Content is being streamed live through Video Cloud to a special SBS Sports London Olympics Samsung Smart TV app created by a local Korean development agency. Catch-up video on-demand content will also be available in 3D. 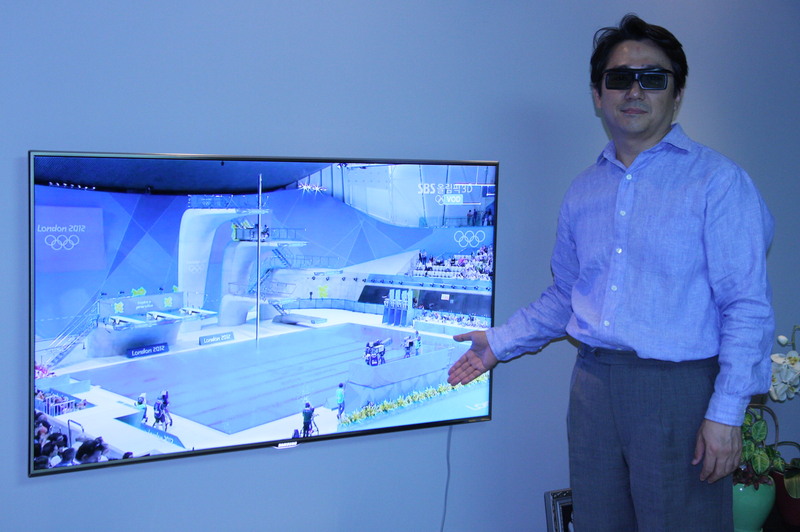 The app is geo-restricted to Korea, but pictured below is Brightcove's James Yoon showing off the high quality 3D experience. Brightcove offers free sample reference apps for major connected TV platforms which help organizations like SBS Sports to reduce the time and effort it takes to build Smart TV apps. Learn more about our reference apps here.